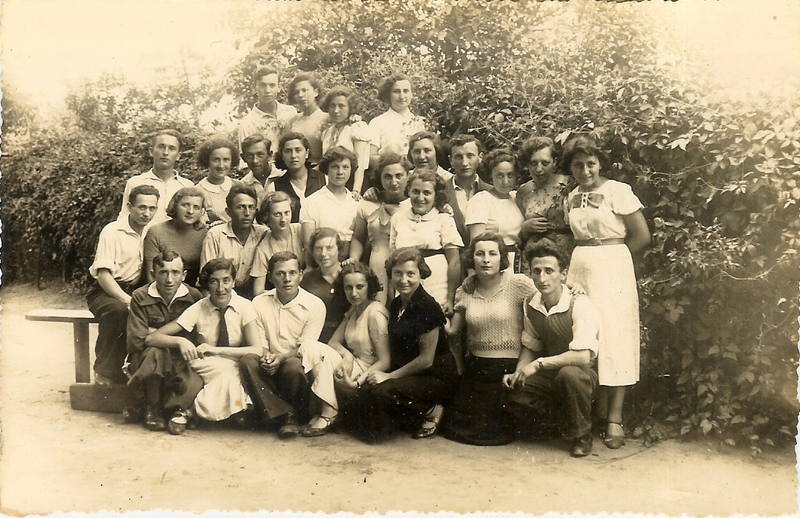 Members of Hashomer Hatzair group "Cheftzi-Ba". 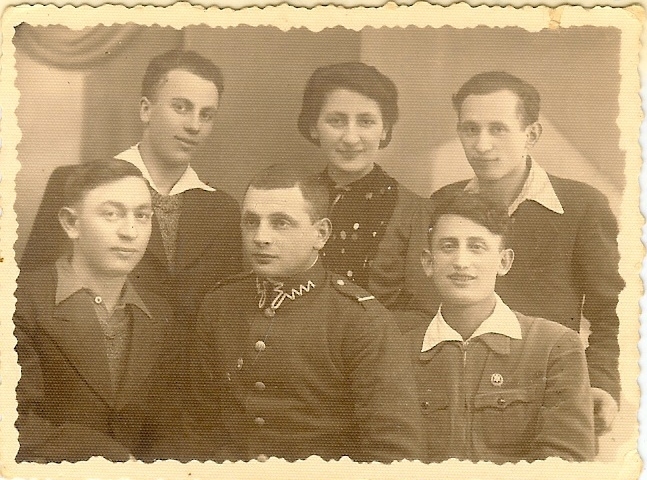 Standling from left: Welwek Fridland (perished), Rywka Makower (perished), Zelig Etinger; sitting from left: Szmuel Golan (Glikzeliger), Zalman Ben Icchak (Borensztajn), still alive in Kibbutz Evron age 100 (Oct14) and Meir Holcman. In the book "Meir Holcman" published by the family, Tel Aviv 1999, Meir Holcman wrote his memoirs about the family who was left behind, about the Shtetl Gombin and his experiences as a leader of Hashomer Hatzair in Gombin and afterwards wandering all around Poland. 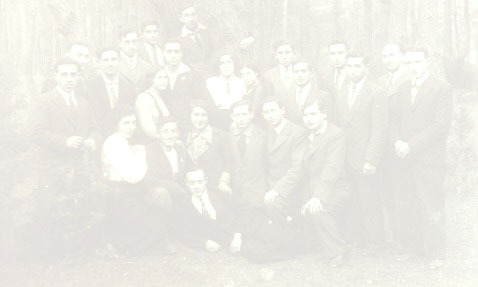 He wrote a chapter "My Friends" from Hashomer Hatzair and the first biography was dedicated to Rywka Makower, a beloved member of Hashomer Hatzair in Gombin. 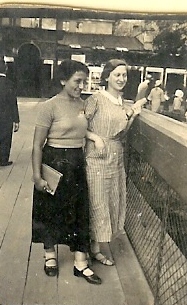 Riwka Makower and Rywcia Holcman née Gostynska (my mother) in a visit to Warsaw. The first one from my group whom I chose to commemorate was Rywka Makower who had been the outstanding and best member we had as I could remember. She excelled in her intelligence and knowledge. It is very difficult and painful for me to remember how fate had its way and this interesting young woman, who was also in Kibbutz Hachshara in Kalisz with me and Rywcia Gostynska, this great idealist, gave up Alyia (immigration to ERETZ Israel) and then perished in the Holocaust. 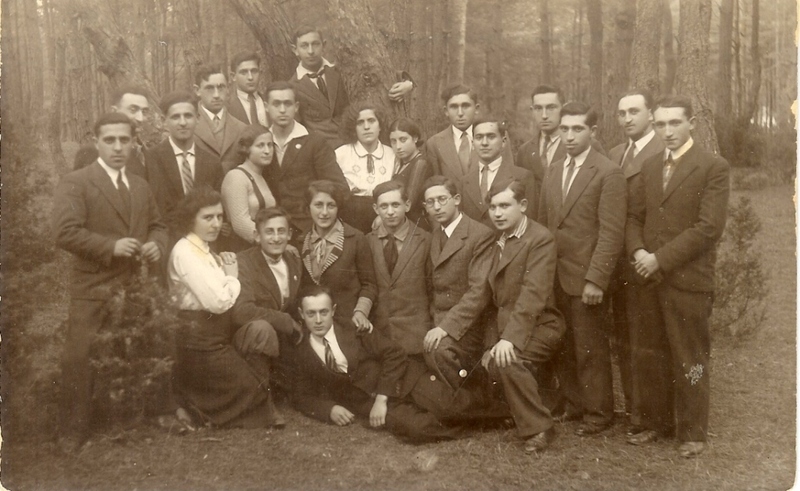 Hashomer Hatzair in Gombin 1936. 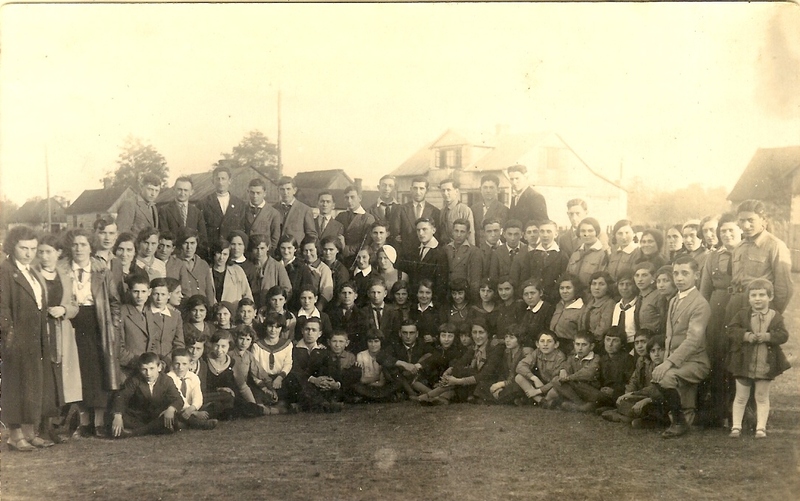 Rywka Makower sitting with the children she guided, 7th from the right. 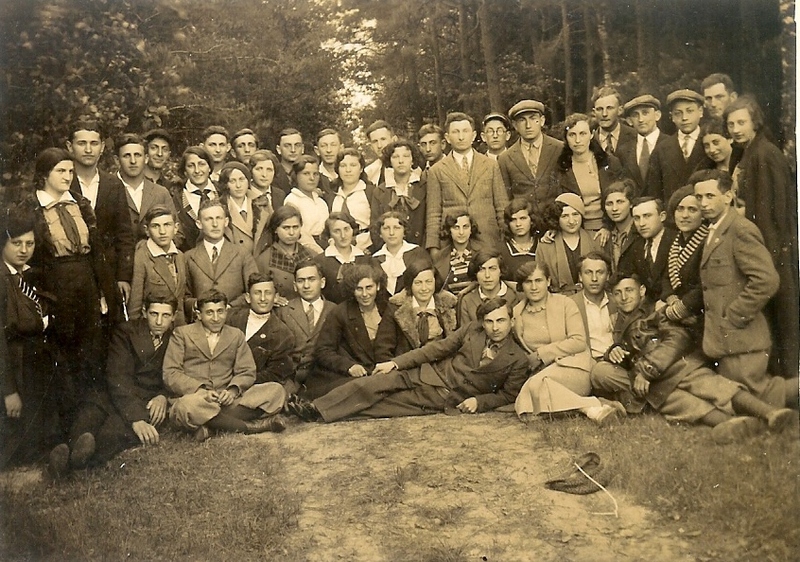 Meeting of the two branches of Hashomer Hatzair in Gąbin and Sanniki at Konstantynów (15 May 1934). Riwka Makower 5th standing from left.